Let’s all agree. 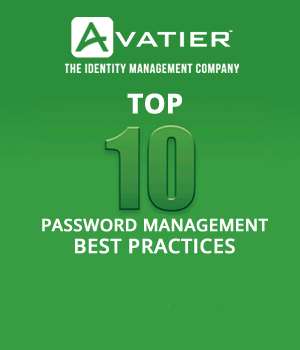 Identity and access management is core to IT security. Administration of software access and an individual’s credentials embody fundamental IT operations. Today, user management requires governing access to cloud and enterprise applications alike. Experts project global SaaS revenue to top $106 billion next year. This number represents a 21% increase over 2015. Identity management in the cloud is no longer an afterthought. While SaaS grows five times faster than traditional software, just a few enterprise cloud applications seem responsible for most of this growth. The Pareto Principle would predict 80% of enterprises use 20% of SaaS apps. However, I put the ratio at more like ninety-nine to a handful. My observation results not from scientific method, but rather customer requests. Before loosing sleep over governing thousands of apps, let’s examine what’s actually being used today. For identity management in the cloud, enterprise apps are limited. The list contains some immediately recognizable companies and a couple of surprises. Find out who made the list. With more than 1.43 million apps, over 400,000 developers and five million business users, Google apps usage doubled in 2014. Google Apps include email, online storage, shared calendars, video meetings, and near limitless potential for developing custom applications. Create your organization’s user accounts and apply security controls over Google Apps. As Microsoft’s fastest growing commercial product ever, Office 365 delivers cloud productivity software to enterprises, small and medium sized businesses. Office 365 provides e-mail and social networking services through the Exchange Server, Lync, SharePoint and Office Online. It includes integration with Yammer, as well as access to the Office software. As the world’s #1 CRM platform according to Gartner and an average of 1.5 billion transactions daily, Salesforce Enterprise Edition provides case management, task management, and a system for automatically routing, escalating and tracking of sales, support and marketing events. Salesforce lets you organize, share, search and manage content within your organization. Positioned #2 in the IT Service Management Market, HP Service Manager is used by over 20% of the market. HP Service Manager Enterprise Suite delivers a comprehensive, fully integrated IT service desk solution for automating key IT and ITIL processes. The HP Service Manager tracks calls, requests, incidents, and service-level agreements. With over 2,000 customers, ServiceNow is used by 400 of the top Global 2000 organizations in the world. ServiceNow IT Service Management lets you use the same system across all of your development, support and business development teams. ServiceNow provides incident, problem, relationship management and ticketing for business services and IT operations requests. Providing cloud-based human capital management (HCM) solutions in 37 languages, SuccessFactors services more than 6,000 customers worldwide. With over 32 million subscription users in over 185 countries covering 60 industries, the SuccessFactors HCM Suite offers a complete set of tightly integrated talent management, HR, workforce analytics, and robust planning tools. As the fastest-growing ITSM vendor, Cherwell Software streamlines business services through a wizard-driven Platform as a Service (PaaS). Cherwell Service Management delivers enterprise capabilities using fewer resources at a lower cost. Cherwell provides out-of-the-box ITIL accredited processes while extending ITSM functionality to mobile and tablet devices as well as computers. 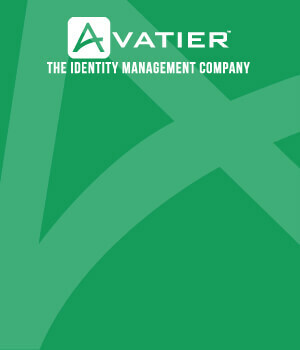 To securely leverage SaaS, identity management in the cloud becomes essential. This list contains SaaS apps most frequently requested by customers and prospects. For organizations to control SaaS access, the number of apps initially appears daunting. By narrowing access to common enterprise SaaS apps, the number shrinks to feasible. Managing cloud and enterprise users does not require replicating identities. Avoid solutions forcing you to manage identities in multiple places. Replicating and synchronizing identities in the cloud creates costs, complexity and security risks. These solutions make governing access formidable and time consuming. Instead, take a flexible and practical hybrid approach. By doing so, you will receive optimum value from your mixed environment. At the same time, you will prevent unneeded costs and avoid creating unnecessary risks.